J.F. Frantz MFG. 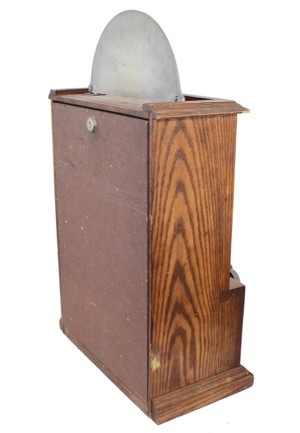 manufactured wooden Kicker and Catcher game. 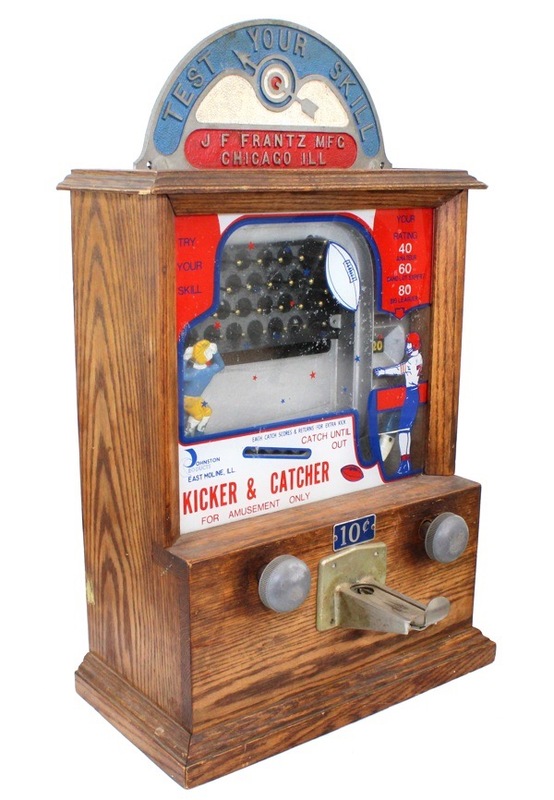 The game measures approximately 13.75x26” and features a spring loaded "kicker" that kicks a pinball into a track where a "catcher" tries to catch the ball. 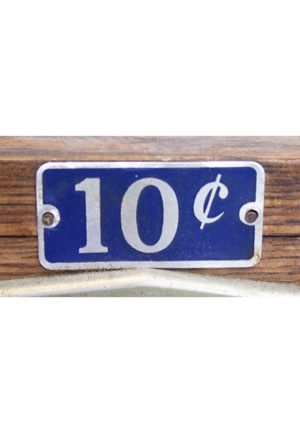 Costs 10 cents to play. 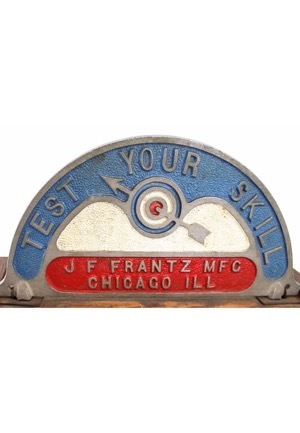 On top of the game is a rare iron cast sign that reads “TEST YOUR SKILL J F FRANTZ MFG CHICAGO ILL”. The game shows vintage aging and displays beautifully. 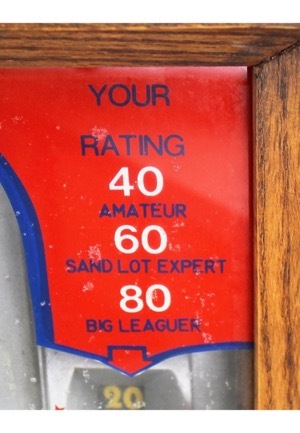 This is the best kicker catcher game we have ever seen.